Robert O’Connell’s Fierce Patriot: … is about one of the most complex and yet misunderstood characters of the Civil War. O’Connell freely admits that there have been many books on Sherman, but none have explained the complexity of the man as he does. Most writers have given a chronological biography of the events of his life, but often without explaining the underlying motivations. Why he was always under the influence of his foster father, Thomas Ewing, a powerful Whig politician. Why he had such difficulty wooing and winning his wife, who was also his foster sister. Why he loved his wife so much, even though they were so different. Why his time in California would later result in the Americanization of the continent. Why he had so much trouble getting his wife and children to move and live with him. Why the press thought he was crazy at one point and how this affected his career. Why his relationship with Grant resulted in the trust to allow him the freedom to cut loose from supply lines at Atlanta and eventually go all the way to Virginia. Why Sherman believed that “total war” was ultimately the kindest and quickest way to end that war. Why “Uncle Billy” was more popular with his troops than Grant was with his. Why his troops did more damage in South Carolina than Georgia but none when they crossed into North Carolina. Why he thought so little of the Black people, but was always very kind and respectful to them, even freeing more of them than any other Union general. Why Sherman was responsible for the completion of the transcontinental railroad, the slaughter of the buffalo, and the Indian wars. Why he liked the ladies so much, having at least two affairs, but remained loyal to his wife. 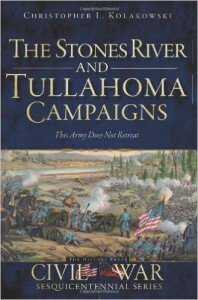 The second section is an examination of the effect that Sherman had on his soldiers, as well as their effects on him. His army marched farther and fought more battles and skirmishes than any other Union army of the period, yet with a lower percentage of losses. While he took care of his men, they soon returned their gratitude by doing anything he asked of them. From experience, they developed the ability to handle any challenge, any terrain, any hardship that they faced with a “can do” attitude. This became a model for all future US Armed Forces. In the third section, O’Connell discusses Sherman’s personal life and family. One cannot understand the complexity of the man without this insight. Yes, he was a brilliant, talkative, multitasking, gregarious, nervous, social man who loved his family and children. But he also enjoyed the theatre and the attention of the ladies. He was a leader of men and the second-most popular general after Grant in the postwar period, but he refused to be the ultimate leader. 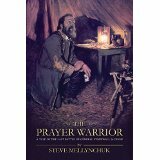 In Fierce Patriot: …, Robert O’Connell has done an excellent job of helping us to understand Sherman in ways that truly help most of us. 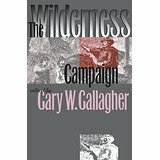 I definitely recommend this book to anyone who wants to know more about this man than just that he marched across Georgia.